Sometimes, I just need to use up random leftovers, for example some leftover pico de gallo from a night with our friends and a meal of fish tacos. Since we were lacking dinner options and tortilla chips I did some quick thinking and came up with this dish. Rice from a rice cooker. Canned refried beans heated in a skillet with pico de gallo juice and a cilantro "ice" cube. 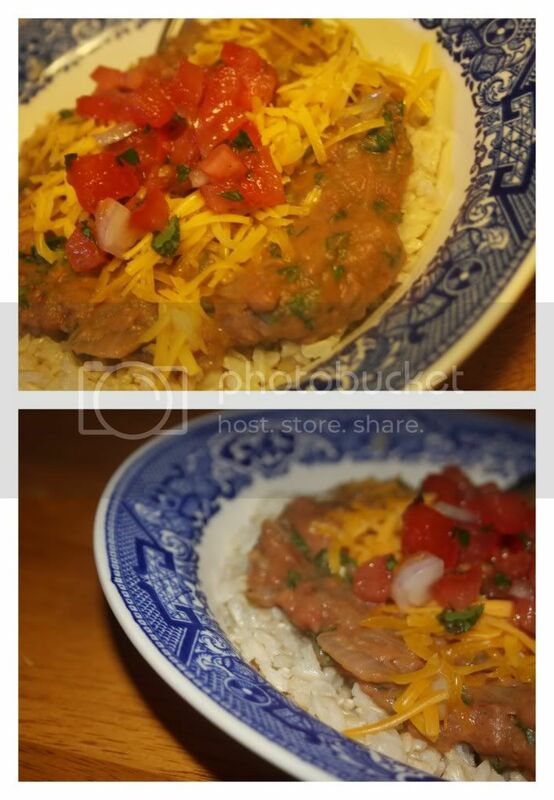 Rice topped with beans, cheese and pico de gallo.